https://saraletourneauwriter.com/2016/11/22/six-writing-lessons-from-wip/ Slow writing is okay!! http://annerallen.com/stupid-writing-rules-12-bad-writing-tips/ Some things to know. http://www.rubyslipperedsisterhood.com/the-day-it-all-began/ How a story snaps together. http://www.rubyslipperedsisterhood.com/black-friday-free-advice-2/ Keep a calendar for your business. http://www.thisishorror.co.uk/tih-121-t-e-grau-on-they-dont-come-home-anymore-professional-mindset-and-novellas/ On growing into his own stories. http://www.thisishorror.co.uk/5-must-read-horror-articles-21-november-2016/ The secret to long-lasting horror. http://www.thisishorror.co.uk/5-must-read-horror-articles-21-november-2016/ New anthology contains rare Stephen King story. http://www.suecoletta.com/through-the-eyes-of-a-crime-writer/ A day at the beach. Lol. https://margotkinberg.wordpress.com/2016/11/19/youre-my-best-friend/ Check with the best friend for clues. https://margotkinberg.wordpress.com/2016/11/21/in-the-spotlight-charles-stross-rule-34/ When a genre crosses lines. https://erikakind.me/2016/11/21/dont-let-their-discontentment-control-your-life/ On believing in yourself. https://erikakind.me/2016/11/24/daily-kind-quote-388/ The power of unforgiveness. https://nailyournovel.wordpress.com/2016/11/20/2-tips-for-balancing-writing-and-marketing-time-qa-from-new-generation-publishing-summit/ Follow your list from week to week. https://www.thebookdesigner.com/2016/11/book-promotion-do-this-not-that-november-2016/ Some things to consider. https://killzoneblog.com/2016/11/crystallize-your-novel.html Finding the moment when the story snaps together. http://nicholasrossis.me/2016/11/20/emotional-beats-ways-to-portray-joy/ From grins to chortles, take your pick. Posted in Anthologies/Novellas, Christian, Craft, Dystopian, fantasy, Historicals, horror, Indie, MG & YA, Mysteries/Suspense, Mystery/Thrillers, Paranormal, Romance, SF, Short stories, Urban Fantasy, Women's Fiction, Writing and Poetry. Thanks for featuring my interview at Ingrid’s. I appreciate it and hope it helps you. You’re welcome to ask my any questions on book marketing or strategy on Twitter (@draebox) or any other way you’d like to reach out 🙂 Have a great day! Sure. This will be of importance to me in the future. What do you think are the best avenues for book marketing? 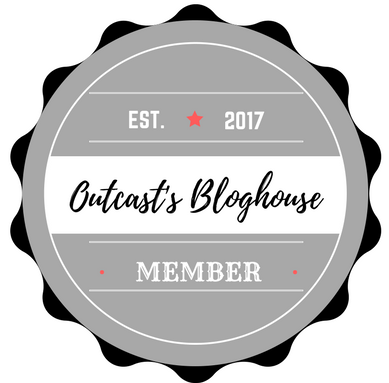 Is your blog enough? I know social media, but are there any particular ways to go? Twitter? FB? Instagram? Do you recommend joining giveaways if you can?